Several garment and textile companies in Vietnam have either closed units or have been facing such possibilities since mid-2017 due to firms investing in automated production lines, robots and new technologies. Such modernisation requires much lesser number of workers and workers who can handle the modern equipment, leaving many traditional workers jobless. 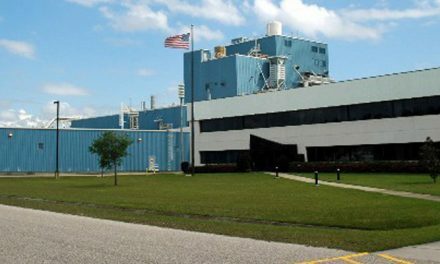 Fenix Knitting Vietnam has announced closure of its plant to declare bankruptcy, rendering 220 workers jobless. It has to pay arrears and social insurances to workers. While Shing Viet Company is planning to end contracts with 400 workers at Factory No.2 in Truong Tho ward, Thu Duc District, because of lack of orders, K Garment Company in LinhTrung 1 Export Processing Zone in the same district has already dismissed 800 workers, most of them old, whose chances of seeking new jobs are poor, according to a report in a Vietnamese news website. Many firms are installing robots to work together with humans in factories or replace workers in some phases and divisions. 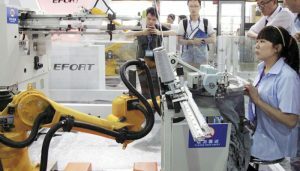 An automated thread cutting machine can reportedly replace 4-10 workers in each production shift and a robot can replace nearly 30 assembly workers for three working shifts. Citing data from International Labour Organisation, Nguyen The Hung, Deputy Director of the Vietnam Chamber of Commerce and Industry told at a recent seminar in Ho Chi Minh City that two-thirds of the 9.2 mn workers in the garment and textile and footwear industries in Southeast Asia are under threat from Industry 4.0, the current trend of automation and data exchange in manufacturing technologies. In Vietnam, 86 per cent of workers in these fields, a significant number of which are female, will be badly affected by automation and industrialization, according to the report. Companies that want to recruit a lot of workers require applicants to have working skills to operate modern machines.